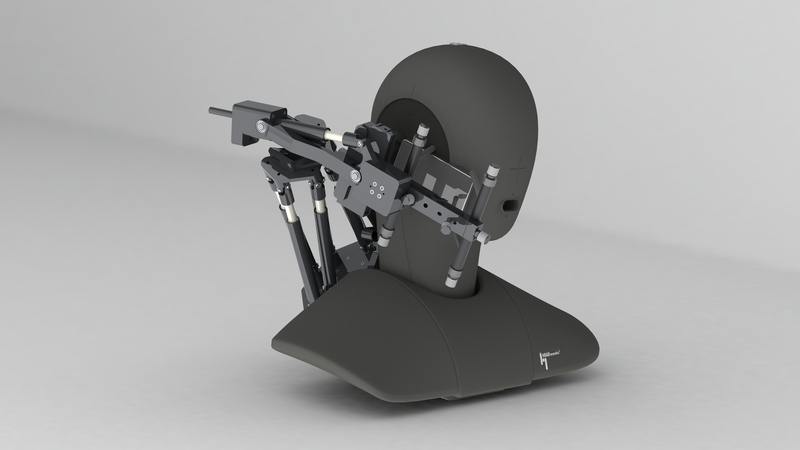 A new era of voice quality measurement technology will see its inauguration at Mobile World Congress where HEAD acoustics will give the first public presentation of their new motorized handset positioner HHP IV “MotoMount”. Mounted to the artificial head HMS II.3, HHP IV “MotoMount” is able to automatically place a clamped-in handset (e.g. a mobile phone) in a wide range of standard or user-defined positions. Furthermore, the handset application force to the outer ear of the artificial head can be adjusted with high precision. The positioner can be used with both type 3.3 and 3.4 artificial ears on both the left and right ear side of the artificial head. With HHP IV “MotoMount”, the voice quality analysis of handsets in dependence of position and application force becomes much easier, faster and more economical. Moreover, HHP IV also allows an extended assessment of positioning aspects, in particular with regard to positional robustness testing. For example, measurements conducted in HEAD acoustics laboratories have shown that wideband-capable handsets are much more sensitive to positioning than narrowband handsets: In receiving direction, they may yield a considerably weaker voice quality experience when deviating from default ear positioning. In sending direction, if they are used in such a manner that significant diffractions occur on the cheek of the artificial head, the voice quality may be impaired severely. Due to the limited positioning variability of previous handset positioners, such extreme positions were difficult or even impossible to realize up to now. 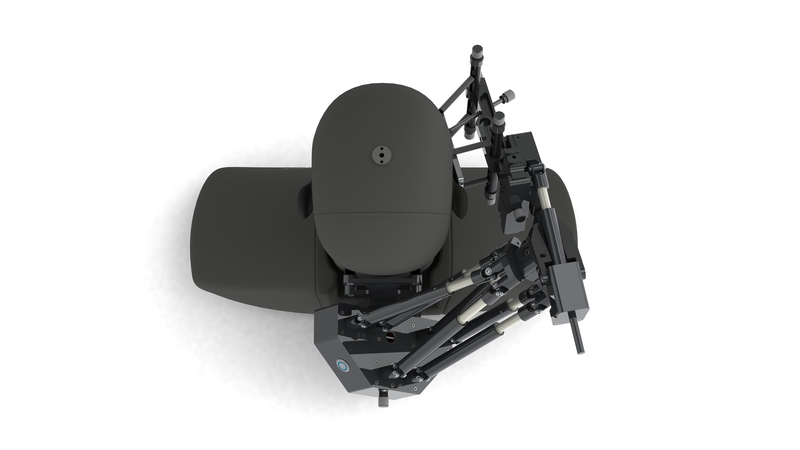 HHP IV “MotoMount” is a sturdy and yet filigree construction based on the principles of hexapod parallel kinematics. It is equipped with six highly accurate linear actuators which are electronically controlled via a small remote touchscreen. In the near future, configuration and control of the handset positioner will be implemented in ACQUA (via USB, Ethernet or WLAN), the HEAD acoustics communication analysis system which is widely used in test laboratories around the world. A datasheet with more detailed information on HHP IV “MotoMount” is in preparation and will be downloadable soon at www.head-acoustics.com. Prices and availability dates will be announced in the near future via the regional sales representatives of HEAD acoustics GmbH. HEAD acoustics was founded in 1986 and has been involved in noise and vibration, electroacoustics and voice quality testing since its inception. HEAD acoustics is based in Herzogenrath, Germany, with affiliates in USA, Japan and France as well as a world-wide network of representatives. 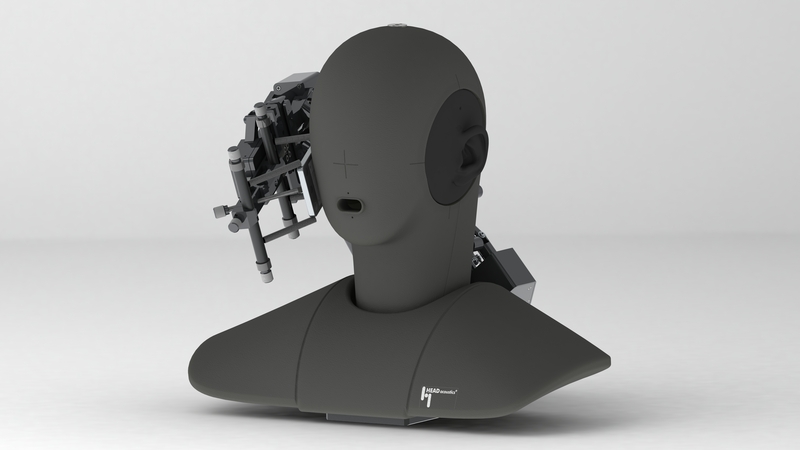 The Telecom Division of HEAD acoustics manufactures telecom test equipment and provides consulting services in the field of speech and audio quality. Moreover, HEAD acoustics closely co-operates with DECT Forum, ETSI, ITU-T, 3GPP, TIA, CTIA, GSMA and other standardization bodies with regard to the development of quality standards for voice transmission and speech communication. In many partnership projects, HEAD acoustics has proven its competence and capabilities in conducting tests and optimizing communication products with respect to speech and audio quality under end-to-end as well as mouth-to-ear scenarios.